Drew, you’re back in LA after filming in Boise. Can you tell us what exactly you’re working on? 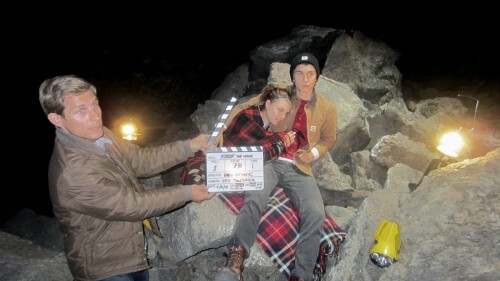 I just finished shooting my first short film titled KOOK starring Jesse Henderson and Ruth Reynolds. It is a love story set in rural Idaho. So why did you name the film “KOOK”? 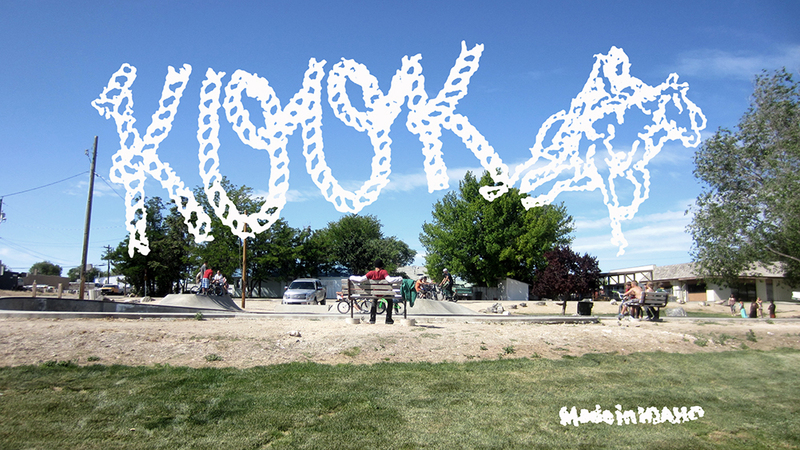 Kook is a label that ignorant people put on others who stand out from the pack. Kooks are individuals, outsiders, experimentalist. I thought that “kook” was an abstract way of summing up the characters in this story. Please tell us some about the plot. The main character “Coley” is the only rollerblader in town. The story starts when he meets “Axela” at a thrift store and they decided to spend the night together. How did you decide to set your flick in Boise? A few months ago I was at Kyler Martz art show at the Them Goods store in Santa Anna. Erik Bailey brought up the idea of shooting a movie. At first it was just talk, but over the course of a couple weeks I started to write down scene ideas, and slowly the script came together. I wanted Erik to be involved and I thought Idaho would be a interesting background for my little story, so I decided to shoot outside Boise. Who all did you work with up there — had you been to Idaho before? I went to Idaho for the first time to scout shoot locations. Originally I had planned to shoot in Burley, Idaho, because I liked the name of the town. When I actually went to Burley it was not very visually exciting so I relocated the movie to a really small town East of Boise. Idaho is amazing. Boise is full good food, great weather and really happy and friendly people. I saw the status updates talking about the roller rink. You get your Roll Bounce on? We rented out this cool old roller-skating rink for a scene where Coley and Axela meet up for the first time. She doesn’t know he is a rollerblader until he skates up to her, and that is a turning point in the movie. I was really happy to have some of the local blader dudes help me out as background skaters. You’ve done a lot of TV work over the years; was this your first foray into a feature length kinda thing? This was my first personal project of this scale. I have been creating content like this for clients for the past 10 years, and when Erik brought up the idea of making a movie I realized I had the connections to put it together. When do you plan to have your post production work done? I am looking to have everything finished by 2014. Now that the footage is in the can I can focus on editing and music. So what’s the plan then, screen it, submit it to film festivals… ? First up will be film festivals. This story is a representation of what it’s like being a rollerblader from a rollerblader’s perspective. It’s not easy being an outsider, and I’d like to give people outside the industry a little insight into our world. Where there any complications or problems during shooting that you had to overcome? 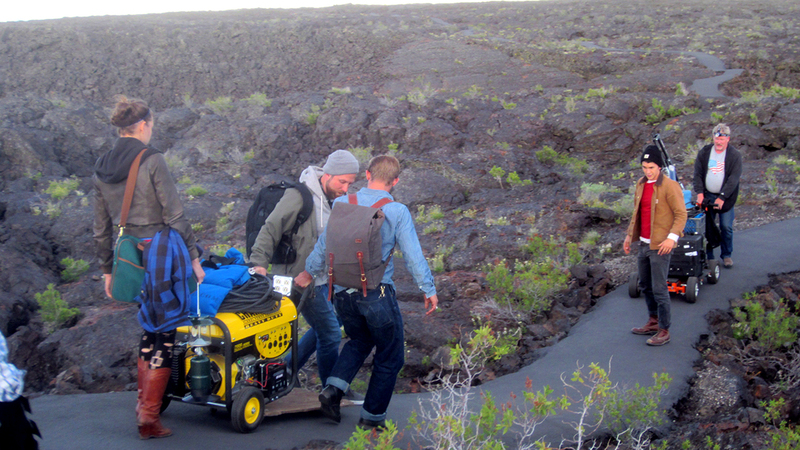 Surprisingly everything went just as planned, which was a miracle considering how many crazy locations we shot. We really had some good luck with finding actors and crew that were dedicated to make this production a success. What was the biggest surprise during production? One scene was shot at Kuma skate park. We had the production van parked in the middle of a field with the camera crew on top to get a bird’s eye view of the park. The scene was one take and during filming the cops showed up. We kept rolling and in the background you can see the cops slow down, check out what’s going on, and then just roll away. That could have been a real buzz kill but, as I said earlier, there was some magic in the air that let us get away with everything we attempted. Any sweet cameos in the flick we should know about? 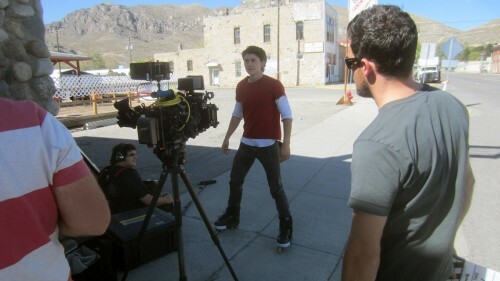 Well, we had Erik Bailey as our stunt man, so keep an eye out for him during the blading scene. What’s next once you’re done with this? We can’t wait to see it! Good luck during post.